!! 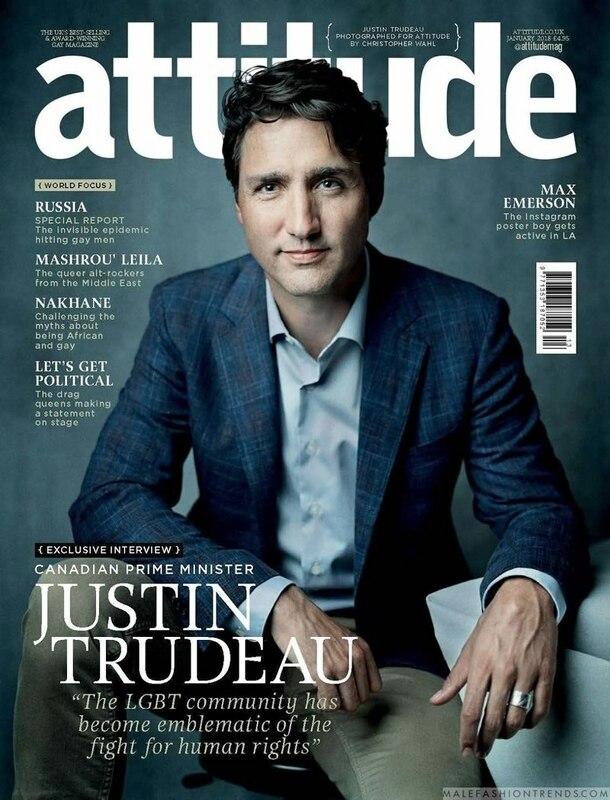 OMG, Justin Trudeau makes history as he appears on cover of Attitude Magazine !! The Liberal Party leader Justin Trudeau is Canada’s first Prime Minister to appear on the cover of an international LGBT magazine. He’ll appear on Attitude’s January 2018 issue. Well said! Check out his full interview when it hits newsstands next month! » NEXT ENTRY: OMG, gossip: Harry a quitter for love? 4 Comments on "OMG, Justin Trudeau makes history as he appears on cover of Attitude Magazine"
I’m so very proud of our Prime Minister! Can’t help but laugh. Hot yeah, but a total fool and a fake one at that. He is so cute and seem like a very nice guy. I love to meet to meet him. I like to move to Canada for real. For him to be our President, wow, now that would be some Christmas Cheer!